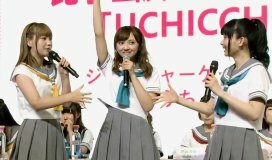 On July 22, 2017 all nine Aqours girls held a talk show at the BILIBILI WORLD 2017 event in Shanghai. There were two emcees, who also translated the Japanese to Chinese. At the beginning, everyone stood on the stage and introduced themselves, mixing in a lot of Chinese. 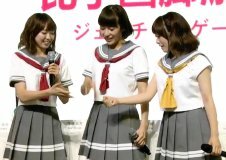 Then the Aqours girls sat down at a table, and played some games. They sat down in groups, Cyaron in the center, Azalea on the right, and Guilty Kiss on the left. The games they played were gesture games and drawing games. 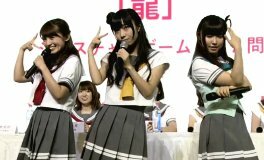 At the end, before saying their good bye messages, the Aqours girls pulled numbers out of a box for presents.